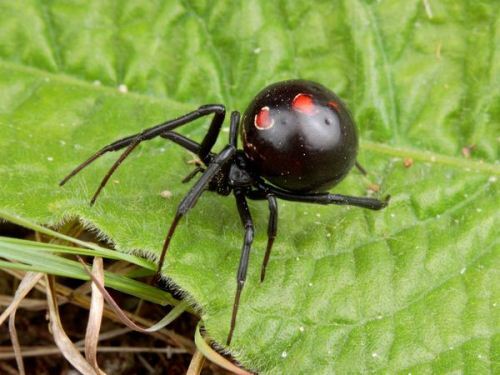 Black widow facts reveal the general information and surprising habit of this animal. Have you seen this spider before? You need to be careful if you do not want to get hurt. If you are bitten by spider, you need to go to the hospital as soon as possible. Here are some facts about black window to notice. 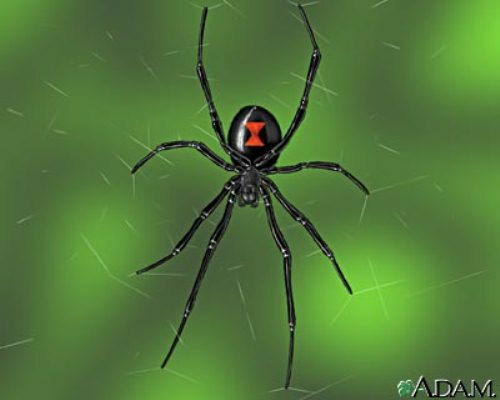 Black widow is considered as one of the most venomous spiders in the world. They are widely spread around North America. They like to make a spider nest inside dark places like garage, kitchen and unused attic. Find out other poisonous animals on reptile facts. You can identify the black widow from their physical appearance. The body has a black color. The abdomen is marked with an hourglass shaped red color. 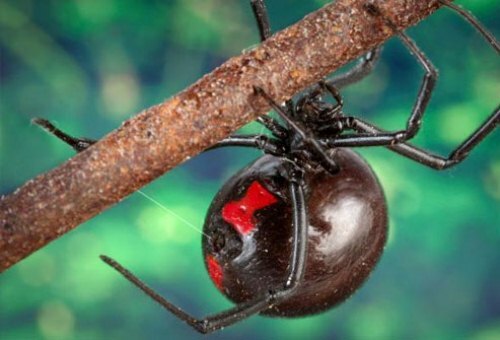 Most black widows have the weight around 1 gram. But you can find it in brown color too. You can identify the female black widow from their weight. The female body is twice bigger if you compare it with a male black widow. The length of female body is around 1.5 inches. During the immature stage, the spider has yellow red spots. You need to be careful when seeing a female spider for it can bite you. Identifying the male black widow is easy to do you just have to note their appearance. Compared to female one, the make spider is smaller abut have longer legs. The male species is not dangerous. 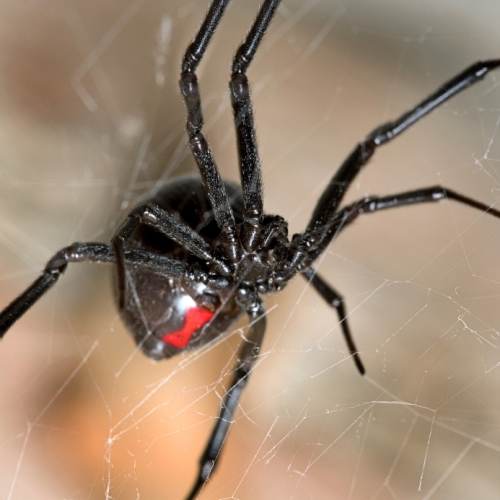 Black widow needs to survive by eating flies, mosquitoes, caterpillar, beetles, and grasshopper. The prey will be covered with silk. The spider will eat it if the prey has been trapped on the webs. The female black widow will stay on their nest. She will make a thick web called as tangle web. It is not really beautiful but powerful enough to catch and trap the prey. She will wait for the male spider or prey to come for she rarely leaves the nest. When the mating time comes the male will crawl slowly into the female web to release his sperm. Even though the actual mating does not occurred for the female spider can store the sperm to generate egg sacs. Egg sac is used by a female spider to protect her eggs. One egg sac can hold hundred eggs. The shape of an egg sac is oval with brown color. 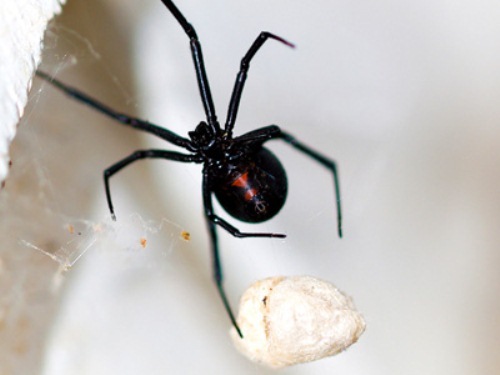 The newborn black widow comes in white color after 20 days of incubation time. Then the newborn will slowly start to have black color after 2 or 3 months. Black widow is always known for eating her mating pattern after mating. This condition occurs when the male spider cannot get away from his nest quickly. If he is too long staying in her nest, she will consider him as a threat. Black widow is just like any other animals with specific and unique natures. When reading the facts about black widow, you will gain more information about the uniqueness of animal in the world. Animal rights facts give you the full understanding about the movement. Many people misunderstand the function of animal right.